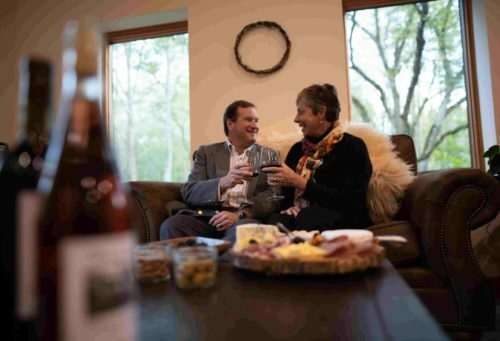 Winter in Abingdon is the perfect opportunity for exclusive, one-of-a-kind experiences and intimate, romantic evenings. Immerse yourself in the best of Appalachian arts and culture with this bucket-list trip. Arrive in Abingdon and check in to The Martha Washington Inn & Spa, Abingdon’s grand dame of a hotel. Take advantage of off-season rates with a stay at this 4-star historic property. 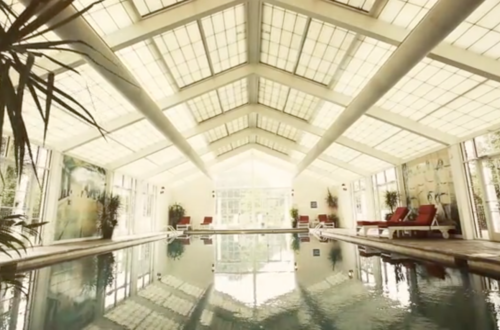 The indoor salt water pool and outdoor hot tubs are even more enjoyable during winter weather. Read more about all of Abingdon's unique lodging options by clicking here. 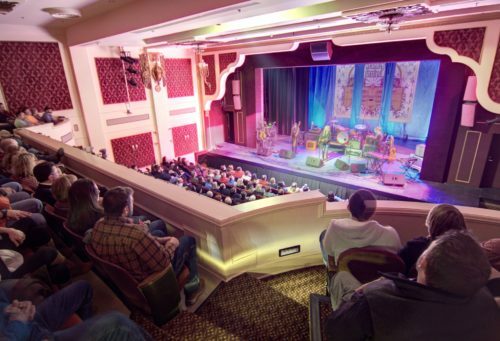 Each weekend in January, Barter Theatre is home to some of the biggest names in music, with the January Jams concert series. This gorgeous 1930s era theatre only seats 500, so every seat in the house is up close and intimate. 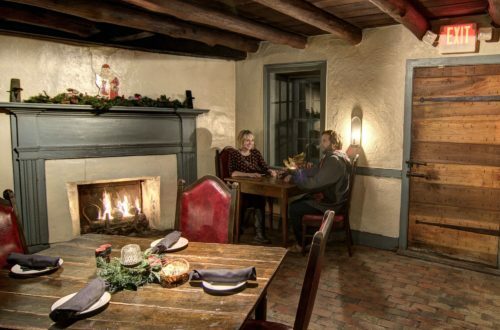 Dine next to a roaring fire at The Tavern restaurant and imagine yourself two centuries in the past. The oldest building in Abingdon, The Tavern has been welcoming travelers since 1779. Winter crowds are smaller on the Virginia Creeper Trail, making it a perfect time to enjoy this Hall of Fame recreation trail. Enjoy a peaceful winter walk and birdwatching starting at the Abingdon trailhead, or take a guided history tour with Feeld Trips and find out why the famous photographer O. Winston Link was fascinated by this narrow-gauge rail line winding through some of the most beautiful scenery in Virginia. Barter Theatre presents Broadway-quality theater year-round, and January brings a special focus on emerging playwrights telling authentic Appalachian stories. Theater lovers will go wild for the Appalachian Festival of Plays and Playwrights. Become a critic for the day as you watch and give feedback on fascinating new scripts. Plus, enjoy face time with Barter’s professional acting company and some of the country’s best new playwrights. After the show, head to Anthony’s Desserts and split a decadent cheesecake or crème brulee, at this pastry shop with a dessert menu that was named Best in Virginia by Virginia Living Magazine. 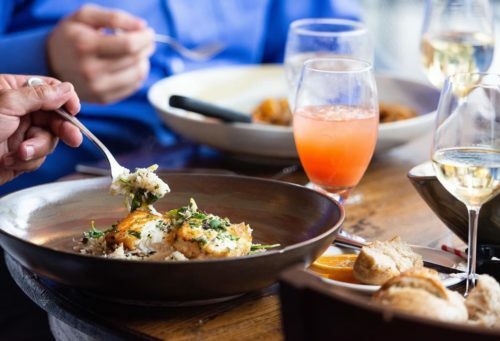 Indulge in a leisurely brunch at Morgan’s, choosing from Orange Maple Waffles, Shrimp and Grits or savory, filling Pastrami and Potato Hash. Explore the real Appalachia at William King Museum of Art, marrying traditional crafts with modern sensibilities. The Museum also features artist studios and an outdoor sculpture garden, with free admission seven days a week. After you’ve gotten a taste of the history of craft in the region, visit Holston Mountain Artisans to view the work of contemporary craftspeople carrying on those traditions into the current day. Winter is the perfect time for a wine tasting at Abingdon Vineyards. Curl up on the couch by the wood-burning fireplace and try a flight of 5 wines, or buy a bottle and enjoy it with the charcuterie platter. If the weather is warm, take your glass out to the patio for tranquil winter views of the Holston River. Sample all that Abingdon has to offer with a romantic mountain getaway this winter. At Morgan's, chef Stephen Gilbert's international menu is inspired by the motto "Old World. New World. Whole World.